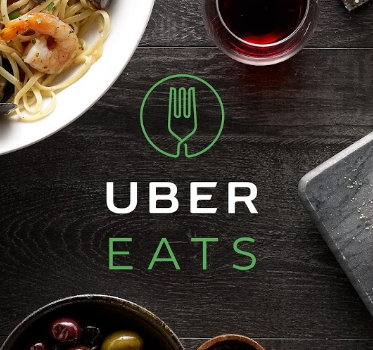 UberEATS is a new venture from Uber that allows people to order food seamlessly through their phone from various local restaurants (and even ones across town). The platform is run by Uber’s subsidiary, Portier, LLC, and the contract between Portier and their drivers attempts to make very clear that their drivers are not employees of Uber or Portier but rather Portier is simply a technology service connecting the restaurants with “for hire” delivery drivers through its platforms. For the service, the customer pays the driver a delivery fee and a tip. Uber then takes a percentage fee from the restaurant. As it is becoming more commonly known that Uber provides significant insurance coverage to its drivers who are involved in car accidents, we are seeing more and more cases come to our office where drivers for UberEATS assume that the same coverages apply if they are involved or seriously injured in a car accident whether they are transporting an individual or a burrito. These clients are looking for an experienced New Orleans Uber accident attorney to help them navigate all of the insurance coverage issues that come with being involved in an Uber accident while driving for Uber EATS and hoping that the same insurance applies to UberEATS as when they are driving for Uber. We have found that often times this is not the case in the greater New Orleans area, unfortunately. While the insurer for UberEATS does provide significant liability coverage of $1,000,000* if you are involved in a car accident while you are on the way to pick up or to deliver an order, they do not provide uninsured or underinsured motorist coverage at all if you are involved in a car accident. That means that if you are involved in a car accident that is not your fault and you are injured, you may be limited in what money you can recover to what insurance the other driver involved in the car accident has. This is a significant restriction given that the vast majority of Louisiana drivers are either uninsured or carry only $15,000 of insurance and the number of uninsured drivers in New Orleans is even higher. Meaning, if you are involved in an Uber accident in New Orleans or any New Orleans car accident, it is very possible that the other driver is not insured properly to cover your injuries. Even more problematically, even if the driver personally carries uninsured/underinsured motorist insurance, if they were driving for UberEATS at the time of the accident, it is possible that their own personal insurance will refuse to pay out on the claim claiming that these accidents are excluded under a personal insurance policy. We are currently handling a case litigating these exact exclusions where our client was seriously injured in a car accident by another driver and her insurance company is refusing to pay her claim for damages under her UM policy claiming that since this is an Uber accident, they should not have to pay. Of course, every case is different, and we need to assess the facts and circumstances of each particular accident to determine applicable insurance coverages. Some drivers are curing this problem by purchasing “gap” commercial insurance that will fill this coverage void. If you have been involved in a car accident involving UberEATS or have questions about your insurance coverage, give us a call for a free consultation on how we can assist you. It is important that you consult with an experience New Orleans Uber Accident attorney to discuss all of the insurance coverage that may be available to you. If you are involved in a car accident in Metairie or New Orleans, it is important to consult with an experienced Metairie personal injury attorney or a New Orleans personal injury attorney as soon as possible. A Metairie Uber Accident Lawyer can help to explain What Type of Insurance Coverage is Available to your Uber? If you are involved in a Metairie Uber accident or a Metairie Lyft accident, involving personal injury or property damage, you will likely be making an insurance claim against Uber’s commercial insurer for the injuries you sustained in the car accident. This is the case whether you are an Uber or Lyft driver, an Uber or Lyft passenger, or in another vehicle involved in an accident with an Uber or Lyft driver. You may wish to consult a Metairie Uber Accident lawyer to explore the various coverages available to you following the accident. If your Uber app is turned on and you are available to take passengers, Uber’s insurer provides liability coverage of $50,000 per person and $100,000 per accident as well as $25,000 in property damage. If you are in route to pick up a passenger or if you have a passenger, Uber’s insurer provides $1,000,000 in total liability coverage as well as $1,000,000 of uninsured/underinsured motorist coverage and coverage for property damage. If you have been involved in a car or trucking accident involving Uber, give us a call for a free consultation on how we can assist you with your claim. If you are involved in a car accident in Metairie or New Orleans, it is important to consult with an experienced Metairie uber accident attorney or a New Orleans uber accident attorney as soon as possible. Megan C. Kiefer is a partner at Kiefer & Kiefer. She is a personal injury lawyer who has handled many car accident cases involving Uber and Lyft. Recently, three Texas women were passengers in an Uber involved in a serious accident. The other driver fled the scene. The below articles detailed the fact that even though the passenger side were seriously injured and had loss wages, it has been difficult to recover any compensation even though Uber carries $1,000,000 of uninsured motorist insurance for passengers while riding Uber, and they have directed the passengers to try to get compensation from the hit and run driver. Put simply, this is exactly the type of case where the passengers should consult an attorney. Because any claim against Uber’s insurer is one of UM due to the fact that the other driver was solely at fault, there are many circumstances that must occur before the UM insurer is required to render any payment. The passengers will need to provide the insurer proof of no or limited insurance regarding the hit and run driver, proof that they are solely at fault, and proof of medical damages. If the other driver cannot be located, they will need to provide documentation relative to that, such as a police report, property damage proof, and witness statements. Even with all of this information, insurers may take the position they are not required to pay out. Passenger claims involving hit and run accidents are complicated. If you are involved in a car accident in Metairie or New Orleans, it is important to consult with an experienced Metairie personal injury attorney or a New Orleans personal injury attorney as soon as possible. Contact us for a free consultation on how we can help you get the compensation you deserve. As we approach the holiday season, we unfortunately see an uptick in automobile accidents that are caused by drunk or impaired drivers. Additionally, during the holidays, many people attend company holiday parties and it may be possible that the company can also be held liable for the actions of its employee. As you can see, these can be very complicated cases, entailing an analysis of insurance policies, and necessitating filing a lawsuit and conducting extensive depositions and discovery. If you have been injured by a drunk driver, call the police and seek medical attention immediately. If you are involved in a car accident in Metairie or New Orleans, it is important to consult with an experienced Metairie personal injury lawyer or a New Orleans personal injury lawyer as soon as possible. Give us a call for a free consultation on how we can assist you with this claim. - Megan C. Kiefer is a partner and trial attorney at Kiefer & Kiefer, who specializes in car accident and personal injury litigation in New Orleans, Metairie, and beyond. While there is no true compensation following the loss of a loved one, certain family members may be able to file a legal action for monetary compensation for their loss caused by someone else’s negligence. When someone dies in an accident, in an attack, or in prison, for example, the investigation into the facts and circumstances surrounding their death by the police or the coroner can take much longer, and we have found that families are often kept in the dark during this investigation, compounding their grief. Consulting or hiring a New Orleans wrongful death lawyer can help you and your family to perform an investigation and to preserve evidence immediately. Louisiana law recognizes two actions: wrongful death and survival, which can be used by a New Orleans wrongful death lawyer to help you following a tragic event. A New Orleans wrongful death lawyer can bring a survival action, which allows recovery of damages that the deceased victim would have been able to pursue if they were still alive. In New Orleans, this includes, but is not limited to, the victim’s pain and suffering, medical expenses, and lost wages incurred from the time of the accident until their death. A New Orleans wrongful death attorney can bring an action for wrongful death, which would provide compensation to the loved ones for the loss they suffered as a result of the deceased victim’s death. Recoverable damages include the loss of love, affection and companionship of the deceased victim as well as the past and future grief and anguish of the surviving family members. Additionally, the family members can recover the loss of support from the deceased victim. The wrongful death action also allows recovery for the funeral and burial expenses incurred for the deceased victim. For both of these actions, a claim must be made within one year of the victim’s death. Our attorneys have handled many New Orleans wrongful death and survival actions as well as cases in the surrounding areas. We have handled wrongful death actions where a loved one was killed in a car accident and wrongful death cases where a loved one died in jail. These cases can be very complicated, so it is important to consult an experienced New Orleans wrongful death attorney to investigate any potential claim that you may have. - Megan C. Kiefer is a partner at Kiefer & Kiefer. She is a personal injury lawyer who has handled wrongful death cases . We have used this doctrine in many cases at trial to show simply and cost effectively how a car or trucking accident caused injury to our clients. Using the opinions or testimony of the injured client’s treating physician, we have been able to easily establish that a car accident, a slip and fall injury, or other trauma, caused their pain and suffering, and have been able to secure them compensation at trial. If you were involved in an accident and suffered injury, give us a call for a free consultation on how we can help you with your claim. If you are involved in a car accident in Metairie or New Orleans, it is important to consult with an experienced Metairie personal injury lawyer or a New Orleans personal injury lawyer as soon as possible. Give us a call for a free consultation on how we can assist you with this claim. But Officer I Wasn’t Driving, My Tesla Was, and It Hadn’t Been Drinking. While we have not quite reached the flying self driving vehicles promised by the Jetsons, the self driving function of Tesla and other new vehicles promises to change the way we get around for good. As with many areas of the law, as these technologies advance and become more common place, so to must the law and policing of the new technologies. Just last week, California Highway Patrol spotted a Tesla Model S traveling down Highway 101 at 70 miles per hour. The police noticed that the driver appeared to be asleep, and only after they were able to bring his vehicle to a stop, by slowing down in front of his vehicle, were they able to wake the apparently intoxicated man by banging on his window. The man was subsequently arrested and charged with driving under the influence of alcohol. Tesla attempts to avoid the potential liability of those types of situations, or any other self driving incidents/accidents, by telling its customers that they are ultimately responsible for driving the vehicle and any resultant accidents. But it is not hard to see how this type of technology invites its drivers to sit back, relax, and rely on the technology while they undertake any number of non-driving related activity. Tesla attempts to counteract those inclinations with various sensors and alarms, but users report that these are easily defeated by drivers’s, raising questions about what duty manufacturers like Tesla have to other drivers on the road. As technology continues to improve, and self driving systems become more ubiquitous, the law will have no choice but to change as well, both in the criminal and civil arena. Likewise, insurance coverages will have to change to address the new technology as well. While I have not yet had a case involving a self driving vehicle, I have a suspicion that it wont be long before I do. Wishing you and your families a safe and happy holiday season. And if you see a Tesla speeding down the highway late at night, maybe give them a wide berth until we get this self driving thing figured out. - Chris M. Short is an associate at Kiefer & Kiefer. Beyond a Reasonable Doubt - Louisianans Overwhelmingly Vote to Require Unanimous Verdicts. Louisianans have overwhelmingly approved Constitutional Amendment No. 2, meaning that all felony convictions in Louisiana will now require a unanimous guilty vote from all twelve jurors. The amendment enjoyed bipartisan support, and passed with a resounding 64% of the vote. In approving the amendment, Louisiana voters abolished a law dating back to 1898, and brought Louisiana in line with every other state in the US; other than Oregon. The amendment will not take effect immediately, and will only apply to crimes committed on or after January 1, 2019. The original bill which was introduced by state Sen. JP Morrell, did not initially appear to have much chance of passing. However, strong bi-partisan support for the bill ultimately carried the day, and allowed the amendment to go to Louisiana voters. In fact, a number of lawmakers acknowledged that they had not planned on voting for the bill until they heard the arguments of Republican Senator Dan Claitor, a former assistant district attorney. Sen. Claitor acknowledged that when he served as an assistant district attorney in the 1980's, there was a practice of filing more severe felony charges in order to avoid having to get a unanimous verdict which have would have been be required for a conviction on the lesser charges which have a juror of only six and required a unanimous verdict. In essence, he explained that district attorney’s were so concerned about avoiding a unanimous verdict requirement, that they would perform an end run to avoid it. The bill, and ultimately the proposed amendment, were strenuously opposed by most of the state’s district attorney’s who attempted to spin the amendment as a danger to public safety by allowing criminals to go free. However, Louisianans saw through that fear mongering, and recognized that the amendment instead merely recognized the full extent of one our most important constitutional protections, requiring that a defendant be found to be guilty beyond a reasonable doubt and not by 10 jurors out of 12. In Louisiana, a car accident victim is typically able to recover only compensatory damages to help put them back in the same position they were in prior to the accident. One exception where you can collect punitive damages is if a person is injured in a car accident caused by a drunk drive. The punitive damages are designed to punish the drunk driver for their reckless behavior and deter similar behavior in the future and can sometimes be amounts ten times the amount of what you could recover in a normal accident. You may be able to recover punitive damages even if the other driver was not arrested at the scene of the accident. If you are injured in an accident and suspect the other driver was impaired, give us a call for a free consultation on your claim. If you are involved in a car accident in Metairie or New Orleans, it is important to consult with an experienced Metairie personal injury lawyer or a New Orleans personal injury lawyer as soon as possible. Give us a call for a free consultation on how we can assist you with this claim. - Amanda Morse is an associate at Kiefer & Kiefer. Electric scooters are set to invade New Orleans, just as they have in almost every other big city. If you haven’t seen one, think of an adult sized razor scooter powered by an electric motor. The City Council is poised to approve a proposal that would see them placed around the city just like the now ubiquitous blue city bikes, and available to be rented from various companies for a nominal amount based on the length of use. Proponents have hailed them as way to cut down on traffic and congestion in metro areas, while providing riders a cheap and efficient way to get across town. But its not all sunshine and rainbows. These scooters travel in excess of 15 miles per hour, and some early adopting cities have reported increases in ER visits related to scooter use of up to 161 %. Those are scary numbers, and that’s before we take into account New Orleans’ streets and drivers. What’s more, because the rider does not have a vehicle around them to protect themselves, the injuries are often more serious. Our firm has already begun to field questions about scooter injuries from our clients. Scooters accidents raise a number of difficult questions that require experienced lawyers to address if someone is injured while using an electric scooter. Are they considered a motor vehicle? Can I hold the scooter company liable? Will my own car insurance cover me for an accident? Do I need to call the police and report the accident? Just as with any accident, the answers to all of those questions are, it depends on the specific facts of your accident. But generally, you should treat a scooter accident just as you would any other accident. If you have a scooter accident you should always report it to the appropriate authority, you should take pictures, and get the names of any witness, and report it to your and the other individual’s insurance company, and most importantly, if you are injured seek medical attention. If you or someone you know has questions about a scooter accident, do not hesitate to give us a call. It’s free, and we can make sure that your rights are protected. What are the Louisiana Laws Against Texting and Driving? The National Safety Council estimates that one in every four accidents are caused by texting while driving, which causes almost a half a million accidents per year, which is an incredibly astonishing figure. Louisiana has enacted special laws that govern cellular phone and texting issues while driving, subjecting those drivers to a fine for these violations. The ban does not apply to emergency personnel, citizens band radios, citizens band radio hybrids, commercial two-way radio communication devices, or electronic communication devices with a push-to-talk function. Additionally, drivers who hold a learner’s permit or an intermediate license, regardless of their age, are prohibited from using a hand-held cell phone. Bus drivers are not allowed to use both hand-held and hands-free cell phones while driving. This is a ban with primary enforcement, which means that you can get pulled over and get a ticket without committing another traffic violation. While there is no “punitive damage” available for using a cell phone and causing an accident, because texting while driving is illegal under Louisiana law, proving a driver was texting while driving is admissible in a civil case to show the driver is presumed to be at fault. We have handled many cases where we have been able to prove that someone was texting or improperly using their phone and caused an accident through subpoenas of their phone records, deposition testimony, using the police report, and cross-examination, and so they were found to be 100% at fault in the accident. - Megan C. Kiefer is a partner and trial attorney at Kiefer & Kiefer, who specializes in accident and injury litigation. Can I File a Lawsuit if I was Injured at Work? In Louisiana and the New Orleans area, most employees are covered by worker’s compensation for injuries that occur while they are at work. The Workers’ compensation regime is a legal remedy that allows an employee who is injured on the job to get certain benefits from their employer without having to litigate their case under typical tort principles and without having to establish that their employer is at “fault” for their injuries. These benefits can include medical care for the injury, wage benefits, vocational rehabilitation services, and/or death benefits. A common misconception is that if you are injured on the job, even by a third person, your exclusive remedy is worker’s compensation. This is not the case. For example, if you were driving for work and were rear ended by a third party and injured in that car accident, you still can make a claim with worker’s comp with your employer for your injuries and get medical treatment through worker’s comp, and also make a claim for the same injuries against the third party. Because workers comp has a right to get reimbursed for payments that they have made to you and also have a duty to contribute to the costs and attorney’s fees of pursuing the third party tortfeaser, these cases can be very complex. For example, litigating these issues entails not just simply collecting from the third party, but also evaluating the worker’s compensation lien, how much may be owed, how much it can be reduced, or the future exposure of worker’s comp, all of which can be very complicated. If you have been injured by a third party while working, please contact us for a free consultation on your claim. If you are a firefighter, policeman, state trooper, or other servicemember who was injured at work, we offer significantly reduced attorney rates. - Megan C. Kiefer is a partner and trial attorney at Kiefer & Kiefer, who specializes in car accident and injury litigation. What happens if you are involved in a CAR accident in a parking lot? 3. Police may use a different report which includes less details than a standard accident on a public road. As with a car accident that occurs on the street, you should still stop and exchange information with the other driver because leaving would cause the accident to be a hit and run. After making sure everyone is safe, call the police to report the accident and exchange contact and insurance information with the other driver. You should take photos of the damage, vehicle location and accident scene. You should also look around to see if there are any witnesses and get their name and phone numbers. It is also helpful to write down your version of how the accident occurred soon after the accident to help preserve your recollection. If you are involved in a car accident in Metairie or New Orleans, it is important to consult with an experienced Metairie personal injury lawyer or a New Orleans personal injury lawyer as soon as possible. Give us a call for a free consultation on how we can assist you with this claim. - Amanda Gammon Morse is an associate at Kiefer & Kiefer. The most frequently asked questions we get regarding residential leases undoubtedly center around the return of a renter’s security deposit. A far better outcome though, is avoiding the need to even seek judicial intervention. Common sense, and a little foresight can go a long ways in getting you your security deposit back. Make sure you complete a walk through upon moving in, take pictures, document any damages or non-working items, and let your landlord know about any damage or problems writing. Similarly, when you move out, make sure to take pictures and videos of the property, showing that you left the property clean and damage free. It is no secret that the wheels of justice tend to turn slowly. Even with an aggressive attorney, it may be years before a Court will be able to give you a trial date. Louisiana gives preference to setting trials if any party to the case is elderly or terminally ill. The court shall give preference in scheduling upon the motion of any party to the action who presents to the court documentation to establish that the party has reached the age of seventy years or who presents to the court medical documentation that the party suffers from an illness or condition because of which he is not likely to survive beyond six months, if the court finds that the interests of justice will be served by granting such preference. This provides an effective tool in helping to get your case to the front of the line and towards resolution. What is Spoliation and How Do Louisiana Courts Handle These Issues? The law of spoliation deals with what a court or jury should do where an important piece of evidence in a case has been destroyed and is no longer available to present to the trier of fact. In short, if you are in possession of evidence that may be important in a claim or lawsuit and you fail to preserve or destroy same, it may be presumed that the evidence was adverse to you even if it was not. Louisiana Supreme Court’s most recent articulation regarding the law of spoliation established that no cause of action exists for negligent spoliation of evidence. Reynolds v. Bordelon, 2014- 2362 (La. 6/30/15), 172 So.3d 589. Although there is no tort, the Court noted that there are alternative recourse available in Louisiana’s evidentiary, discovery and contractual laws. The plaintiff in Reynolds sought a cause of action for the negligent spoliation of evidence against third-party spoliators who were the custodians of the subject vehicle following the accident and failed to preserve that vehicle for inspection purposes. Plaintiff sought a cause of action “where a specific duty arose due to an agreement, contract, special relationship, or undertaking which was formed between the parties specifically for the purpose of preserving the evidence.” Id. at 595. Although the lower courts have allowed such a tort, the Court declined to recognize the cause of action and “expressly refuse to recognize the existence of the tort.” Id. at 596. In determining whether there was a tort for the negligent spoliation of evidence, the Court analyzed various policy considerations to determine whether there is a duty. Id. The first factor, deterrence of undesirable conduct, weighed in favor of no duty since “the act of negligently spoliating evidence is so unintentional an act that any recognition of the tort by the courts would not act to deter future conduct, but would, rather act to penalize a party who was not aware of its potential wrongdoing in the first place.” Id. The Court noted that this was particularly true in a case of negligent spoliation of a third party who is not vested in the case and has no motive to destroy the evidence. Two other factors, satisfaction of the community’s sense of justice and predictability, weigh against recognizing the tort of negligent spoliation since it would place a burden on society as a whole requiring third parties who are not aware of litigation to retain potential evidence in order to reduce their liability. Id. at 598. Allowing the tort would require all potential evidence to preserved for possible future litigation, which would restrict property rights by limiting one’s right to destroy their own property and would be costly to store the potential evidence, such as totaled vehicles. Id. The last factor considered by the Court was the availability of other avenues of recourse. As to first party spoliators, there are discovery sanctions, criminal sanctions and Louisiana recognizes the adverse presumption against litigants who had access to evidence and did not make it available or destroyed it. Id. at 599. As to third parties, plaintiff who anticipates litigation can enter into an agreement to preserve the evidence or obtain a court order. Id. The Fourth Circuit has consistently held that there must be intentional destruction of evidence in order to assert a spoliation claim or apply the adverse presumption rule. Williams v. Claiborne, 2008-0820 (La. App. 4 Cir. 1/28/09), 999 So. 2d 1262; Everhardt v. La. DOTD., 2007-0981 (La. App. 4 Cir. 2/20/08), 978 So.2d 1036, 1044; Quinn v. RISO Investments, Inc.,2003-0903 (La. App 4 Cir. 3/3/04), 869 So.2d 922, 926. The requirement of intentional conduct for a spoliation claim was established by the Fourth Circuit in Quinn v. RISO Investments, Inc., when it expressly defined spoliation of evidence as “the intentional destruction of evidence for the purpose of depriving parties of its use.” Quinn, 869 So.2d at 926-27. Further holding that allegations of negligent misconduct are insufficient and a claimant must allege the destruction was intentional. Id. Accordingly, spoliation does not apply if no suit has been filed and there is no evidence that a party knew a suit would be filed when the evidence was discarded. Id. at 927. A court may either exclude the spoiled evidence or allow the jury to infer that the party spoiled the evidence because the evidence was unfavorable to that party's case. Lafayette Ins. Co. v. CMA Dishmachines, 2005 U.S. Dist. LEXIS 8026, 2005 WL 1038495, at *3 (U.S.D.C., E.D. La. 4/26/05). Before a court may exclude spoiled evidence or provide for an adverse inference to arise from the intentional destruction of evidence, "the party having control over the evidence must have had an obligation to preserve it at the time it was destroyed. "Kronisch v. U.S., 150 F.3d 112, 126 (2d Cir. 1998). Such a duty "arises when the party has notice that the evidence is relevant to the litigation." Id. Once a court concludes that a party was obliged to preserve the evidence, it must then consider whether the evidence was intentionally destroyed and the likely contents of that evidence. See Id. at 127. See also Caparotta v. Entergy Corp., 168 F.3d 754, 756 (5th Cir. 1999)(adverse inference "predicated on bad conduct"); [Pg 8]Vodusek v. Bayliner Marine Corp., 71 F.3d 148, 156 (4th Cir. 1995)(requiring intentional and willful conduct); Anderson v. Production Management Corp., 2000 U.S. Dist. LEXIS 5696, 2000 WL 492095 at *3 (U.S.D.C., E.D. La. 4/25/00)(no adverse inference absent a showing of bad conduct).Furthermore, the presumption that evidence that a litigant fails to produce is detrimental to his case is not applicable when the failure to produce the evidence is adequately explained. Constans, supra at p.12, 712 So.2d at 902; Boh Brothers Constr. Co. v. Luber-Finer, Inc., 612 So.2d 270, 274 (La. App. 4 Cir. 1992). The tort of spoliation has its roots in the evidentiary doctrine of “adverse presumption”, which allows a jury instruction for the presumption that the destroyed evidence contained information detrimental to the party who destroyed the evidence unless such destruction is adequately explained. Id. In decisions since Reynolds, the Fourth Court has cited the Supreme Court’s holding that Louisiana only recognizes a cause of action for intentional spoliation, which is in line with the circuit’s jurisprudence as established in Quinn. Fiveash v. Pat O’Brien’s Bar, Inc., 2015-1230 (La. App. 4 Cir. 9/14/16), 201 So.3d 912; Danna v. The Ritz-Carlton Hotel Co. LLC, 2015-0651 (La App. 4 Cir. 5/11/16), 213 So.3d 26; Tomilson v. Landmark Am. Ins. Co., 2015-0276 (La App. 4 Cir. 3/23/16), 192 So.3d 153. The remedy for spoliation is that the spoiled evidence is excluded or instruct the jury of the adverse presumption “had the evidence been produced, it would have been unfavorable to the litigant.” Danna, 213 So.3d 26 at 36-37; Tomilson, supra at 160. Before any remedy for spoliation is imposed, Fourth Circuit jurisprudence requires proof that 1) the party having control of the evidence had a duty to preserve at the time it was destroyed and 2) whether the party intentionally destroyed the evidence. Tomilson, 192 So.3d at 160. However, if the destruction of the evidence is adequately explained, the adverse presumption does not apply. Danna, 213 So.3d 26 at 37. The first requirement for a spoliation claim is proof that the party having control over the evidence had a duty to preserve it at the time it was destroyed. The duty to preserve arises if the party has notice that the evidence is relevant to the litigation. Tomilson, 192 So. 3d at 160. If a suit has not been filed and there is no evidence the party knew a suit would be filed, then there is no duty to preserve. Quinn, 869 So.2d at 927. Unlike other circuits, the Fourth Circuit has not provided an opinion explaining at what point a duty to preserve is imposed prior to a suit being filed. In Tomilson, the defendant knew about the slip and fall since plaintiff reported it the day of the incident. However, the surveillance videos were recorded over in the ordinary course of business before suit was filed. Although the court did not address whether defendant had a duty to preserve the video, it can be assumed defendant had a duty to preserve since the court focused on whether the destruction was intentional. Once a duty to preserve is established, the court must consider whether the party intentionally destroyed the evidence. The Fourth Circuit’s jurisprudence establishes that intent is an essential element of a spoliation claim, and “after Reynolds must be greater than the general negligence standard.” Tomilson, 192 So.3d at 153. A claim of spoliation must allege intentional destruction of evidence and allegations of negligent conduct are insufficient. Danna, 213 So.3d 26, 36. Further, “knowledge is an underlying material issue in the ultimate determination of intent.” Fiveash, surpa at 919. In Tomilson, plaintiff asserted a claim for spoliation of evidence, alleging that defendant intentionally destroyed the surveillance video regarding her slip and fall which impaired her lawsuit. So.3d at 158. Plaintiff alleged defendant had a duty to preserve the video since she reported the incident to the store’s manager. Id. at 192. Defendant claimed the video was destroyed in the normal course of business and was not willful in nature. Id. at 158. The court agreed and found that although not clear as to how long defendant preserved videos before automatically recording over them, there was no evidence to suggest the video was intentionally destroyed for the purpose of depriving plaintiff of its use at trial. Id. at 160. The dissent in Tomilson, pointed out that Reynolds involved a third party spoliator who was so attenuated from the underlying cause of action, which is different from a cause of action against a first-party spoliator. Nonetheless, the dissent still finds the framework set forth in Quinn applicable. Tomilson, 192 So.3d at 168. In Fiveash v. Pat O’Brien’s Bar Inc., the plaintiff filed suit alleging injuries sustained when she fell on a step while exiting the bar. Subsequently, defendant notified plaintiff that the step was damaged by a garbage can and they intended to repair the step to the same condition it was at the time of the subject incident. 201 So.3d at 915. Plaintiff then amended her claim to include a spoliation of evidence claim, alleging defendant had a duty to maintain the condition of the step and pictures before and after show it was not repaired to the identical condition; thus, defendant intentionally destroyed the condition of the step which was motivated by the desire to deprive her of evidence to support her liability claim. Id. at 921. The court analyzed evidence of intent produced by both parties and remanded the case finding that whether defendant intentionally destroyed the evidence is a question for the trier of fact. Id. The dissenting opinion noted that to find spoliation, the law requires a showing of bad faith or bad conduct. Id. at 922, citing Yelton v. PHI, Inc., 284 F.R.D. 374 (E.D. La. 2012). - Megan C. Kiefer is a partner and trial attorney at Kiefer & Kiefer, who specializes in accident and injury litigation. She has tried cases involving issues of spoliation and missing evidence. Will My Insurance Pay for My Property Damage if I am Involved in an Accident? Just as Louisiana law requires drivers to purchase liability insurance to cover bodily injuries you may cause to another person, driver must also purchase property damage insurance to cover property damage to someone else’s property for an accident that you cause. If you only purchase the required minimum insurance and decline collision insurance, any damage to your vehicle that results from an accident caused entirely by you will not be covered. To protect yourself, you should purchase collision coverage, which covers any damage if you hit another vehicle or object. Instead of paying the entire cost of repairs out of your pocket, you will only have to pay a deductible and collision insurance will cover the cost of the repairs or replacement of your vehicle. If another driver is at fault in causing an accident, you can always make a claim through their insurance company. However, sometimes these claims take time as the insurance company will have to first perform an investigation to speak with their insured, to secure the police report, or to talk to witnesses. You may be stuck without a vehicle or rental vehicle during this period of time. During this time, you can use your own collision coverage even if you are not at fault for causing the property damage to your vehicle. Your insurance will pay for the damage and provide you a rental car if covered under the policy, and then will seek reimbursement from the at fault driver’s insurance company, which can include a refund of your deductible. Does my health insurance cover treatment for injuries sustained in motor vehicle accident? Our first concern when an injured client comes into the office is getting them the medical treatment they need. As with any injury or ailment, their health insurance is often the first place they turn to get the medical treatment they need. But, does the person that caused the accident and your injuries get the benefit of your foresight to procure insurance and thereby get to avoid paying for your medical expenses? Under Louisiana Law the answer is, in large part, no. The fact that you had health insurance that covered your medical expenses does not lessen the at fault drivers liability. They are still obligated to pay for all of your medical expenses. The so called “collateral source” rule, provides that your recovery from the at fault driver cannot be reduced because those expenses were paid by your health insurance. The effect of the collateral source rule, is that you are entitled to recover the entire amount of your medical expenses from the at fault party, regardless of the fact that those expenses were paid by your health insurance. Importantly, you are entitled to recover the entire amount you are billed for that treatment, not just the reduced or negotiated amount that your insurance may have paid.